Your brain is a meaning magnet. It can’t help it; it’s been conditioned. Since the hunter and gatherer days, humans have tried to make sense of the world. From the Egyptians and Greeks with their gods to philosophers with their theories to scientists with their hypotheses to small towns with their gossip, we crave explanations. When something happens—a car accident, a divorce, your kid being accepted by a prestigious college—you create a story to make sense of the events. The car accident was the other guy’s fault because he wasn’t paying attention, the divorce wouldn’t have happened if you joined the family every night for dinner instead of working, your kid was accepted by an elite college because of the discipline you instilled in him at a young age. There are facts, which are true no matter what (i.e. the car accident happened at 2:53 pm) and there are stories which are shaped by beliefs and may vary substantially from one person to the next. Even though there are many sides to a story, your belief in your story makes it true for you and possibly many other people who hear your story. So, what does all of this have to do with philanthropy? I’m glad you asked. The key to elevating the emotional state of a donor and igniting the emotions of others is tapping into what is personally significant to that individual. In other words, when we feel emotion from telling a story, that same emotion is felt by others during the telling of the story. The story itself is a vehicle for us to feel meaning and to change the beliefs of others. Identify stories that light up your donors and those stories will light up their family and friends. 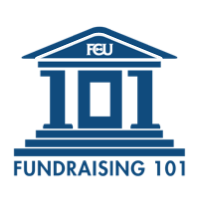 We’ll be tackling point #2: Identifying stories that light up your donors. If you want donors to connect with your cause on an emotional level, you’ve got to figure out why they care about your cause, but not in a superficial way. It’s unlikely the guy standing on his front porch who gives you twenty bucks to go away is going to tell you how he really feels. If you ask him why he’s contributing, he’ll probably say something like, “Of course I want to support eradicating labor trafficking in San Diego. It’s a terrible problem!” Then he’ll give twenty dollars to you and you’ll never hear from him again. None of this is to sound flippant. Labor trafficking is a terrible problem that needs to be addressed, but so do a lot of other problems. There are endless ways to contribute to the world and many options for donors. Your challenge as a nonprofit is to find people who have the potential to become advocates for your organization and to help them find greater meaning through working with you thereby turning them into devoted advocates. Not everyone is going to resonate with your cause on a deep level. So, how do you sort through the “nice superficial” responses to figure out which donors authentically connect with your cause and will give more in the future? Every donation matters. But it’s simply too costly to try to have a deep personal conversation with every single donor. You should have systems that separate donors into categories based on their giving, interest, and involvement. A friend of mine who is the head of a large nonprofit hospital said that he knows someone is a good candidate as a substantial donor when they give $1,000 or more. In the hospital’s system, they tag that person as someone they should keep an eye on and ask about their philanthropy goals and estate planning objectives. Often extremely large donations start with a relatively small one (like $1,000 to $5,000) and as the donor develops a relationship with the organization, he or she ends up leaving a large portion of their estate to the cause. Figure out what the metrics are for your organization. Once you have your “golden” donor leads filtered out, it’s time to determine what’s important to them. Make sure you approach the process without an agenda. If the donor feels like you are only interested in their legacy to try to extract money from them (even for a good cause), they’ll close off. You could speak with them one-on-one or hold educational seminars and other events that help them explore their giving vision, their life goals and what kind of legacy they’d like to leave behind to the community and their families. Remember to focus on story. If they say giving to your cause is important, find out what story they’re telling themselves and ask them to articulate it. I learned pretty early on in legacy planning that stories are vague. “Feeling good” because you gave to someone is vague and that feeling can easily fade if you are not reminded about it again and again. Have you ever had the experience of reading an old journal? I read a passage I had written when I was seventeen about my parents and sister going through a hard time and the words brought back all kinds of memories that I would have completely forgotten if I hadn’t written it down. You need a thing—a physical object to remind your donors about how meaningful their stories are. At our company, we create something called the Book of You, which incapsulates someone’s wisdom, memories and personal philosophy. You could create something similar or you could print up their story and send a framed copy to them. Think about a tangible way to remind the person of their meaningful connection with your organization and the kind of legacy they’d like to leave behind. Hold events which feature the stories of your donors—invite their friends and families. Or feature them on your website and ask them to share with friends and family. A story—told from the unique point of view of someone you love—has a much better chance of igniting emotion and helping others to see the significance of the cause than a story from a stranger. A topic that usually comes up in legacy planning is what kind of legacy the parents would like to leave to their kids or grandkids. This is especially true if they have a substantial amount of money. The good news for you is that many families are concerned about how their money will be handled by the next generation and use philanthropy as a tool to teach their children responsibility and gratitude. Talk with estate planners and legacy planners about how you can make your organization appeal to families who give through donor advised funds, foundations and other structures. When you help your donors uncover stories based on what connects with their hearts, their sense of significance soars, along with the value of your nonprofit. Laura leads the Nonprofit Academy session Legacy Development for Nonprofits.